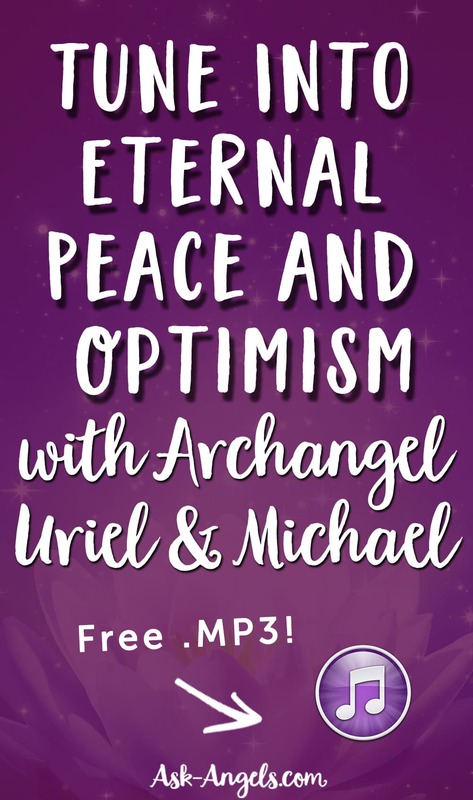 Tune Into Eternal Peace and Optimism with Archangel Uriel and Michael! 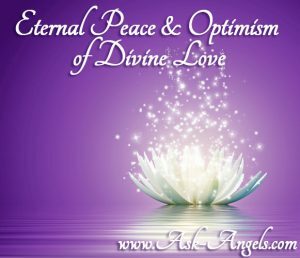 Archangel Uriel connects in this new channeled Angel Message with Archangel Michael to assist you in tuning into the Eternal Peace and Optimism of Divine Love. Release the energies of fear and negativity so you can refocus with positive anticipation about the blessings yet to be. In this channeled message with Archangel Michael and Archangel Uriel you will receive direct angelic frequency, healing, and assistance while learning a powerful process for letting go, lifting your vibration, and embodying the fullness of the Divine and spiritual being that you are. Once you learn this new process, it is something you can use anywhere at anytime within a matter of seconds, to release negativity in any situation and to peel back the layers to reveal more and more of your Divine light. Simply relax, breathe, and listen! You Can Now Listen to This Angel Message on YouTube Here As Well… Or keep scrolling down as the angel message has been transcribed for you to read below! Beloved, I am Archangel Uriel, and I greet you now with Archangel Michael and with your team of guides and guardian angels. We are here to support you in letting go of attachment to any chaos or turbulence of the outside world, in tuning in to the eternal peace, calm optimism of divine love, transforming chaotic and out-of-control feelings with grounded presence into excitement, in positive anticipation about the blessings yet to be. And to do this, we will assist you in letting go by, first, relaxing and focusing within. When you relax your physical body, you enable yourself to receive healing from the Divine. Allow yourself to lift in vibration now, effortlessly, as we flow light your way all around you. Breathing in the light, your vibration lifts. And as you exhale, let yourself let go. Let yourself be fully present here and now, waking up to the magnificence of divine light energy around you, which can be focused to release any density or negativity in the space you occupy. And this is done now, and can be focused to release any density or toxic energy in your body, mind and spirit. Let go and release into the light. I hand you now a torch of light. Take this energetically in your left hand. And Archangel Michael hands you a sword of light, which you now hold in your right hand. And before you, let emerge the knowing, the mental image of a scene from your past, from a past life, from your recent past, which you are attached to in some way, which is in some way holding you down, which would serve you to release. Tune in to this now. It may be something that has actually happened, or it may be metaphorical, a symbol of you not standing in your power or fully embodying another quality of the Divine you desire. Tune in to this image. Get a knowing of this, if you’re not getting an image. And begin to imagine it. Let the image appear. And then, as if the image is transforming from being all around you into a two-dimensional scene on a postcard, which floats out in front of you, the scene represents that which is holding you down. And now, with the sword of light in your right hand, draw an X through the postcard, cutting it to pieces. With the torch of light, let yourself light the scene on fire. And this past scene with the past emotions tied to it, the limitations and the limiting beliefs, as the pieces of the postcard are set on fire, the sacred fire of the Divine transmutes this into the light, into love. Feel the release, this block to your power being released into the light. And now for a moment, let yourself imagine. And we say “imagine,” but you may simply receive an image, a vision of an empowering alternative, possibly from the perspective of love, from the perspective of a high vibration of standing in your power, of standing in your light and letting your light shine. Welcome this image in to your being, to raise your vibration for the highest and greatest good. And now at this time, let yourself tune in to a quality you have that you’re not proud of—a tendency, a habit, a pattern, which is not in alignment with divine love, with your higher self. Tune in to this by getting a mental image of yourself taking this action, and responding in this way. It doesn’t have to be anything big. Just get an image of a certain thing or tendency or habit, which, ultimately, does not serve you in embodying the divine being that you are in every moment. Let this image float out in front of you, becoming two-dimensional like a postcard. And with your sword of light, cut an X, cut it into pieces, slash through it. And now with your left hand, light it on fire with light of the Divine, with the violet flame of transmutation, releasing this negative habit, tendency, and pattern into the light. And now, allow an empowering belief to download. An empowering alternative to align with your being for the highest and greatest good, according to divine will, which will most serve you in stepping forward, as embodying the fullness of the divine light, of the divine and spiritual being that you are. Once more, let yourself tune in to the knowing, to a mental image of a time or a pattern where you’ve not responded with love, where you’ve not shown compassion for another or for yourself, where this has been blocked in some way. Tune in to this. Let it appear as a mental image in front of you, becoming two-dimensional and flat. Cut through the image with the sword of light. Light it on fire with the flame of transmutation, and release this energy, which was weighing you down, into the light of the Divine for the highest and greatest good. And now, get the mental image and receive the vision of you fully embodying the Divine, responding with love, gratitude and compassion. In this situation, see this image, feel the resonance, paint the picture in your imagination, if you have to, of what it would look like, responding with love in a certain situation, and always fully embodying the divine being that you are. Integrate this into your body, mind and spirit. You can set your tools down now, and simply relax. With these subtle blockages released, effortlessly lifting higher, shining a bit brighter, becoming more aware of the quality of divine energy around you, the love around you, your team of guides and angels around you who take your hands in theirs. Do you feel that as a gesture of their support? And through this, through presence in the moment, through your quiet mind and open heart tuned in to the positive possibility and potential for your life, tuned in to the blessings, the love, tuned in to the magic and wisdom and knowing made possible through your connection to all, which is always there and which is realized when you quiet your mind, open your heart, lift and tune in. Breathe and feel the light intensity raising in vibration around you. Feel your personal vibration raising, bringing you into closer alignment with the divine and spiritual realms, making the experience of these realms more accessible, more real to you, more vivid. For they are opening your spiritual senses, gifts and abilities through your simply being present, opening your heart, being aware, quieting your mind, being willing to love, and through love to lift. Lifting to experience your oneness with all that is, in the physical, spiritual, and emotional realms. Experiencing your oneness with all that is in the spiritual, and the divine. And through this, allowing the blessings of the Divine. Your gifts of divine design rise to the surface, where you are able to utilize them to make a difference, to love, to enjoy, which further elevates your vibration, which makes your experience of the spiritual more profound, more realized and more enjoyed. Breathe and relax, as we flow more light, healing, love, gratitude and compassion your way. Let it in. Let it infuse your being, creating a shield around you of love, light and joy, cleansing and elevating the energy of the home you inhabit, elevating your light, your love energy, your divine presence, by releasing that which is not in order, allowing the brilliance of your inner divine light to shine through. We shine light of the Divine around you, and you broadcast it from within, and together, you are fully illuminated. Lift in this, let this overflow. Share this light, and through this presence, your natural, positive, optimistic, hopeful perspective is able to shine through. And when there is chaos or turbulence in the world around you, return to the center. Empowered by the light, use your exercise with the sword and the torch to release that which you are dwelling on, the images and experiences that are challenging, and which weigh you down. It’s time to let them go, to reveal, once again, the brilliance of the Divine within you that you are. Shine, love, make a difference. You are illuminated. Embody this now. Indeed, I am Archangel Uriel, light of God, light of the angelic realms, merging my energy with you now, for we are one. Shine your light one step at a time. You elevate until you reach the point where you are able to take a quantum leap. And then you continue forward, one step at a time, until the next quantum jump. Continue in this way. Growth, expansion in the light, expansion through divine love, supported by your team of guides and angels, by I, Uriel, by Archangel Michael, by everything, by all of existence. You are loved and blessed. I step back now, and as I do, let your energy return to your physical body, cleansed, elevated, empowered. Retain a high vibration but grounded in to the present, so that you can return to your life now, clear, focused, centered and optimistic about the blessings to come, about the blessings that will align for you, when you choose to create, to love and to embody the qualities of the Divine, in the present moment for the highest and greatest good, according to divine will. And so, it is. This was just beautiful and so uplifting!! THANK YOU Melanie and the Archangels. Share your thoughts about this angel message in the comments below! THANK YOU MELANIE. I TRULY THANK YOU FROM THE CORE OF MY HEART. MY SINCERE WISH IS THAT JESUS AND THE BLESSED FAMILY BLESS AND KEEP YOU NOW AND ALAWYS.ALWAYS. thank you Melanie your messages bring such hope bless you! Thank you Melanie! Love this! I really enjoy your messages.Thank you Melaine. Thank you, your love mean a lot to me. Angel words are coming from God for us and I’m so thankful to receive them. God bless you to help others. Thanks AA Uriel and AA Michael through Melanie!!! Thank you GOd to send me this Message and the Archangels!!! Thank you Melanie. 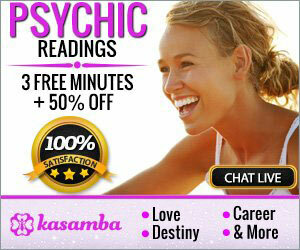 Enjoyed your channeling messages and meditation period. I love the Angels a lot. Thank you Melanie for the Angel messages, always very enlighteningand empowering. I am grateful for the Love and Light we receive from you. Angel Blessings. Thank you for this message. I felt deeply the amazing sword and the torch, it was really powerful. Wow so freeing. In such a calming way No problem we have is too big. Thank you Angels for allowing us to forgive ourselves an move on with a feeling in our Hearts of “you are Loved Unconditional an forgiven the same.Thank You Melanie for being the>t voice for us who do not hear them. Yet. Nasmaste to you All. Thank you Melanie for all your wonderful meditations. Lots of magic has been coming into my life as a result and my connection towards the angels has become very present, uplifting and profound. Melanie, you are one of the beautiful angels here on earth. God bless you and us all. Thank you Melanie and the Archangels! Love your messages and books! So calming, grounding and full of love! ? As usual the angels sent their beautiful words of wisdom and light. I managed to stay awake through out the entire message, as I usually fall into a deep relaxed and refreshing sleep. Love listening to your messages/ meditations . Lots of love , light, and tranquility. I LIVE IN ZIMBABWE – DON’T EVEN KNOW IF YOU KNOW WHERE THAT IS….. I LOVE YOUR SITE – I LOVE YOUR MEDITATIONS. I AM A REIKI MASTER AND TEACH MEDITATION AND LOVE RECEIVING YOUR EMAILS. THANK YOU. Love this message with Archangel Michael & Uriel again! Thank you Melanie, Truly believe in healing visualizations with your calming voice & help from Archangel’s Uriel & Michael! I felt his unmistakable sensation on my hand & wrist. Happy you are a believer & channel through your ? of hearts,helping me & many others heal through lower vibration blockages!